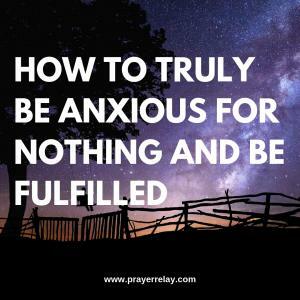 The apostle Paul encouraged us to “be anxious for nothing.” This becomes more and more relevant with each day that goes by. I believe that this generation is under more pressure than any generation that has come before it. Ironically this is the only generation that has lived without a world war in close to half a century! Our luxuries are the greatest source of pressure. 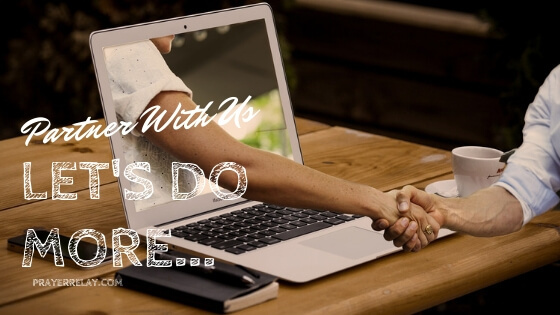 Things such as social media keep up flooded with information that we may or may not need. This means that we are worried about things that would have gone unknown in previous generations. We know what is happening on every corner of the globe as it happens. And of course, bad news sells. Children across the world are anxious about not being enough. Social media constantly sets standards that are unreachable. By contrast, life is hard. There are those who do not know where they next meal will come from or where they will spend the night. How can one be anxious for nothing when there is so much to be anxious about? As I write this, the UK and Europe as a whole is anxious about the outcome of Brexit. The US is anxious about the crisis in leadership that is there today. Some thinking that the wrong leader is in power, and others thinking that there are inadequate leaders working with the president. There is a vacuum to be filled. The apostle Paul had his own worries and anxieties to be mindful of. He didn’t know if his day would end in prison or or with his head on a chopping block. In my opinion the stakes were higher in his time. Anxiety is a telling sign that you are holding on to what you should have placed in God’s hands. If you have placed it in his CAPABLE hands, you have no reason to be anxious, it is well. To be uncertain about anything is never an easy place to be. We find peace in knowing when are how things will occur. One of the lessons I have learned about myself, and had to improve on is anxiety. I am more anxious when I do not have enough money. There is concern just looming over my head in those times. I am also very anxious when I think that I may disappoint someone. Deep down I am a people pleaser. There are upsides and downsides to this. The upside is that I genuinely care for others. The downside is that I may let people take advantage of me for longer than I should. Take a moment to reflect on these things for your self. 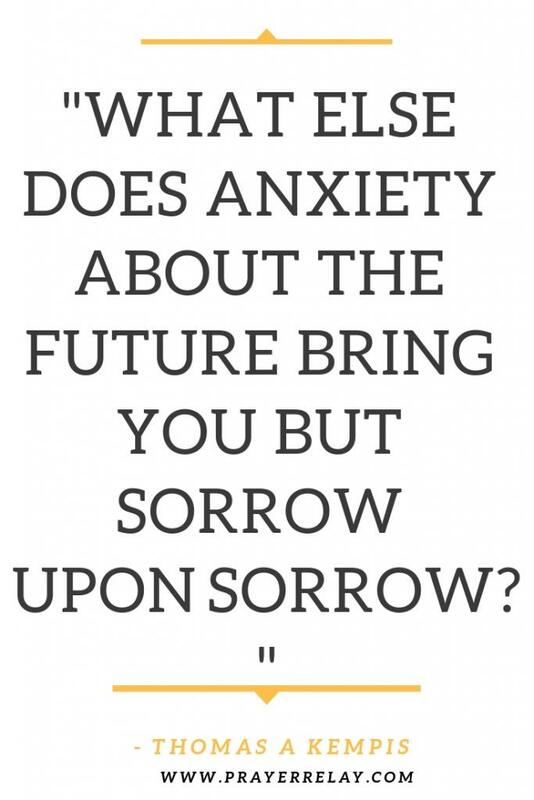 What are you most anxious about? Being anxious for nothing is stopping yourself from playing tug-of-war with God. When you have handed him your cares and burdens, you stop trying to play fixer it the background. Is there anything too hard for the Lord? While Abram was promised to be a father of nation, him and his wife decided to play fixer by giving him his maid servant to lay with. God’s ways are higher than ours. Stop trying to be God! 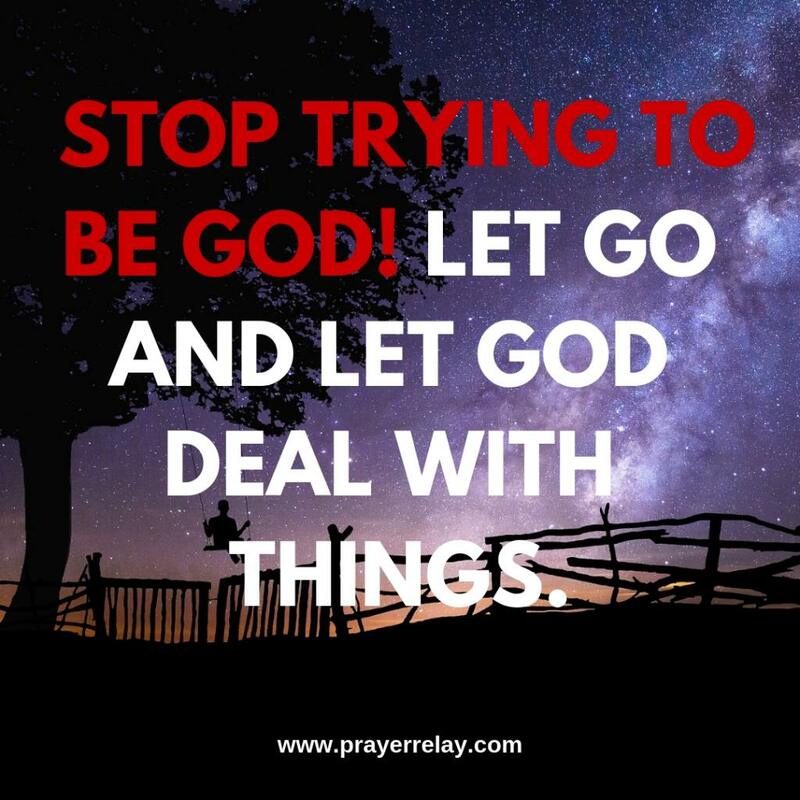 Let go and let God deal with things. Prayer is a great place to lay down your burdens into God’s capable hands. It is a great place to let go of anxiety. A supplication is a petition, to humbly and earnestly ask God for something. We know what the bible says about earnest prayer? Admit your faults to one another and pray for each other so that you may be healed. The earnest prayer of a righteous man has great power and wonderful results. I will always contend that gratitude is the purest form of prayer. When you are thankful, the Lord is moved. We know his words of the leper who returned? No matter what you are going through, be grateful for each day. We have blessings that we take for granted, that others would die to attain. In fact we have freedoms that others are dying for. There are people losing their lives for their faith, yet we often take for granted the fact that we can pray, praise and worship freely. Some may respond “he knows my needs”. Although this is true, he is not just willy nilly touching situations that you have not explicitly asked him to touch. I encourage you to be bold, to explicit in your requests to God. Let your requests be known to God. We are assured that having done all of this, the peace of God that surpassed all understanding will guard our hearts. Where there is peace, you cannot be anxious for nothing. When your mind is at peace, anxiety is absent. As a bonus pointer, let us highlight the importance of meditating on the word of God. We know that faith is a direct result of hearing the word of God. There is no faith that is birthed away from the word of God. Read the scripture and meditate on it. When you meditate on the word of God you are reminded of who he is and what he can do. How can you remain anxious, when you are aware of his love and of his power? Hudson Taylor’s quote is profound. He refuses to be anxious, based on realising that Christ is faithful to see his will come to pass. The Bible tells us that he watches over his word to perform it. Not a single word that he utters returns to him void. He sends his word out, and it performs that which it is sent out to perform. Hudson goes on to say that God’s will is his will. When you tie your will to God’s you know that it shall come to pass. No matter when or how, it will come to pass. We are blessed to be carriers of the grace of God. His grace is sufficient, no matter the situation. There is no reason to allow anxiety to settle in. What an amazing quote by George Mueller. 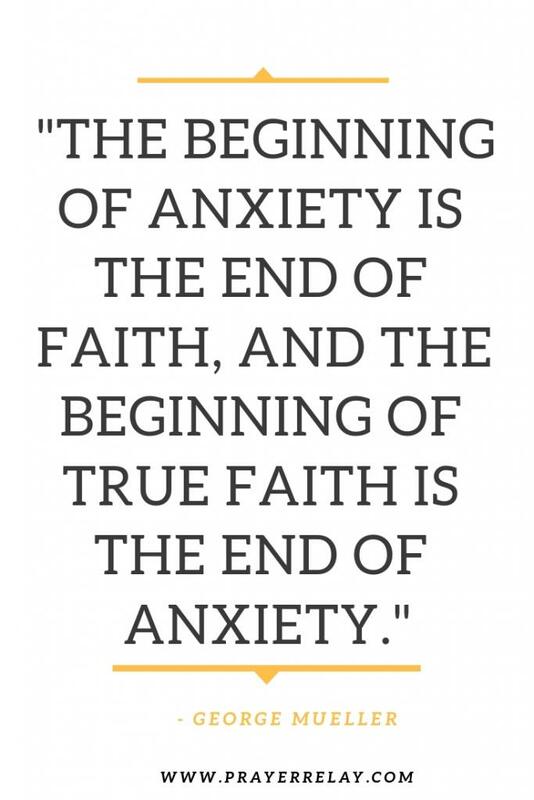 We have already mentioned this, faith and anxiety cannot co-exist. One will eat at the other one until there is only one left. Where there is true faith, anxiety has to come to an end. William Law simplifies it all is a very provoking and sobering quote. 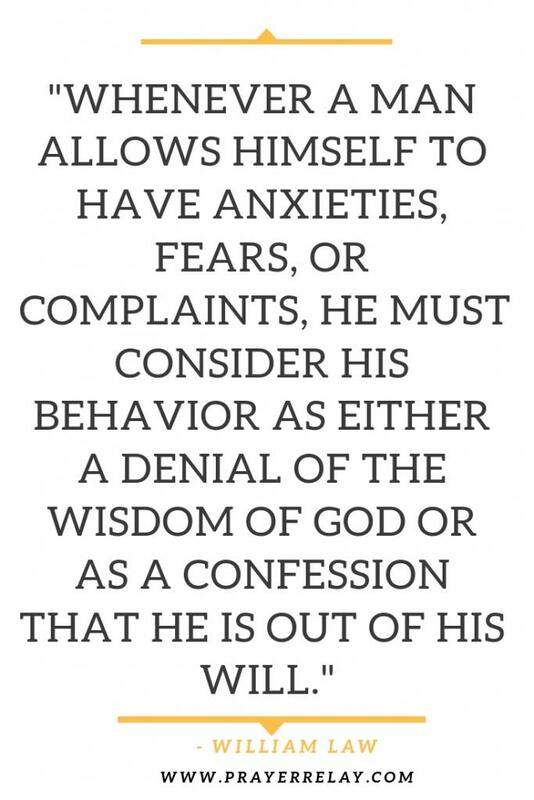 The presence of anxieties, fears or complaints is testament of denial of the wisdom of God. If this is not the case then it is a confession that you are walking out of his will. If you are walking in God’s will, why would you be anxious for anything? What has sorrow ever resolved? Think about it. Sorrow adds more sorrow where there is no sorrow. Sometimes it adds more sorrow where there is none, and will never be. You will find that some of the things that we are anxious about never come to fruition. We spend too much time worrying about what could happen, and it doesn’t always happen. Even if it were to happen, would anxiety bring a solution? 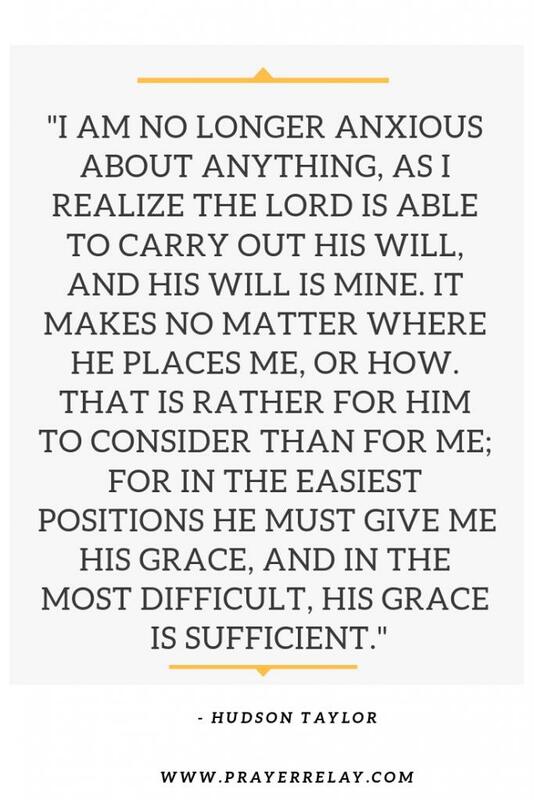 The quote by Charles Spurgeon is on another level. It is similar to the one above by Thomas Kempis. 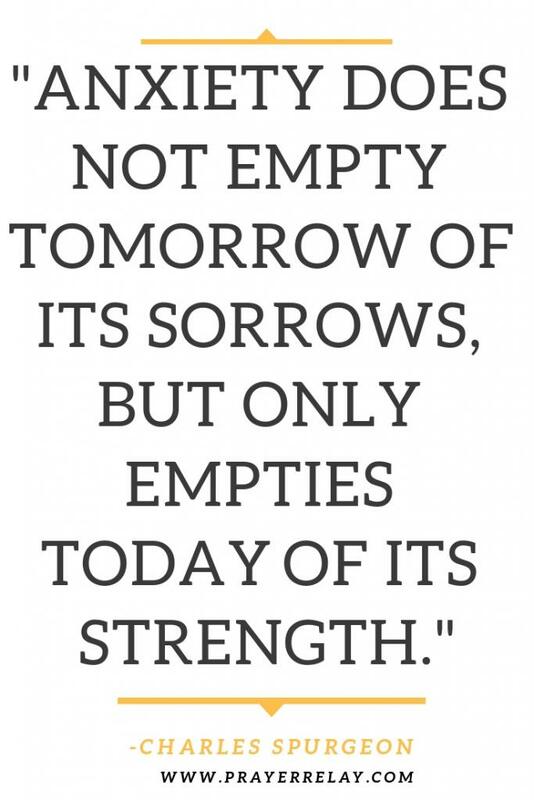 Whether you worry or not, the sorrows of tomorrow will come. The only difference is that by worrying today, you are not only going to endure the pain of tomorrow’s sorrows, but the worry of today. There is no strength in anxiety!